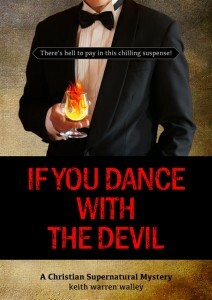 If You Dance with the Devil – There’s hell to pay in this chilling suspense! The first in a gripping new Christian Supernatural Mystery series played out in everyday lives as spiritual forces for good war against powers of evil in this world. Imaginative and frightening! A long-forgotten event once shattered the community. But that’s just the beginning as demonic forces take their toll in this chilling church mystery. In the upscale college town of Newcastle, romance intertwines with the supernatural at St. Barnabas Church where Elliot Buchanan is a new Pastor, and Stacie Jordan is a Professor of Theology at a local university. Together they unravel a mystery that began with a bizarre death fifteen years earlier to one dropped at the very doorstep of their lives. This is a behind-the-scenes look at church life where the devil doesn’t take ‘no’ for an answer.